Helical W Series Flexible Stainless Steel Couplings combine the best features of the A Series and the H Series with the convenience of metric dimensions and fasteners for your metric based designs. 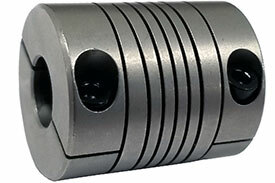 Helical W Series Flexible Stainless Steel Couplings feature metric dimensions and fasteners. 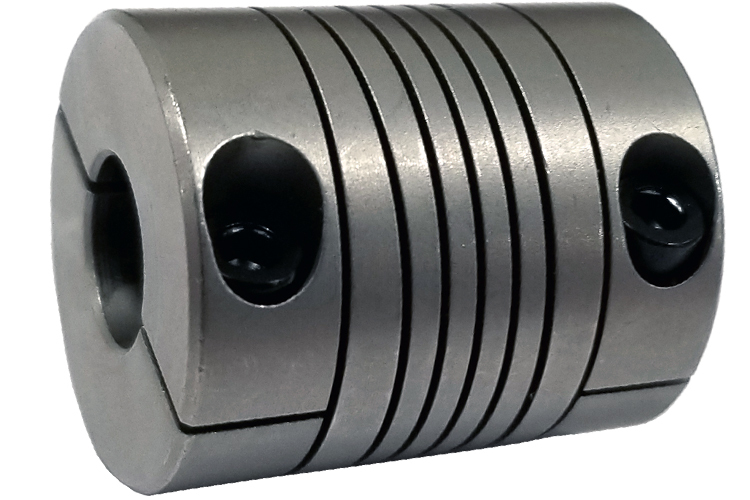 Helical W Series Flexible Stainless Steel Couplings are available with metric bores, and are a relief of standard bores. Helical W Series Flexible Stainless Steel Couplings can be used in a wide range of applications from driving components with light torque requirements such as lead screws and pumps requiring greater torque. The Helical W7C40-15mm-12mm Flexible Stainless Steel Coupling, W Series is one of thousands of quality tooling products available from MRO Tools. Please browse Helical Flexible Stainless Steel Integral Clamp Couplings, W Series for tools similar to the Helical W7C40-15mm-12mm Flexible Stainless Steel Coupling, W Series. Helical W7C40-15mm-12mm Flexible Stainless Steel Coupling, W Series description summary: Helical Flexible Stainless Steel Couplings, W Series. Outside Diameter: 40mm Length: 50mm Major Bore Diameter: 15mm Minor Bore Diameter: 12mm Momentary Dynamic Torque: 20Nm Angular Misalignment: 5 deg Parallel Offset: .25mm Quantity discounts may be available for the Helical W7C40-15mm-12mm Flexible Stainless Steel Coupling, W Series. Please contact MRO Tools for details.